Dieses Gerät ist im Erdgeschoss eines renovierten Scheune. Das Bild des Indian River zeigt Ihre Sicht aus dem vorderen Fenster. Es gibt eine Parade von Booten, die den ganzen Sommer hindurch vorbeifahren. Wir haben zwei 20-Zoll-Dockplätze direkt gegenüber. (Separate Haftungsschwankung erforderlich) Die originalen Zederpfostenstützen sind ein Gesprächsstarter in jedem Raum. Wir sind nur einen kurzen Fußweg in die Innenstadt Indian River und dem Indian River Golf Course. Es gibt ein kleines Schlafzimmer mit einem Doppelbett, ein weiteres mit zwei Einzelbetten, ein Badezimmer, eine Küche, einen Essbereich und eine Sitzecke. Wäscherei vor Ort zur Verfügung. Kein Rauchen in der Einheit. Very clean everything you would need for a great getaway. Had a great time staying with Bruce and Barb,had everything we needed for great week of fishing. The comment about the comfort of the bed and pillows is interesting. When I was younger, I preferred a more firm mattress myself. Now, my body is older and more arthritic and I need a softer mattress. So everyone has a different opinion and even individuals change preferences. I had one woman criticize that the larger bed was too soft and she had to sleep on the twin bed to be comfortable. You just cannot please everyone. 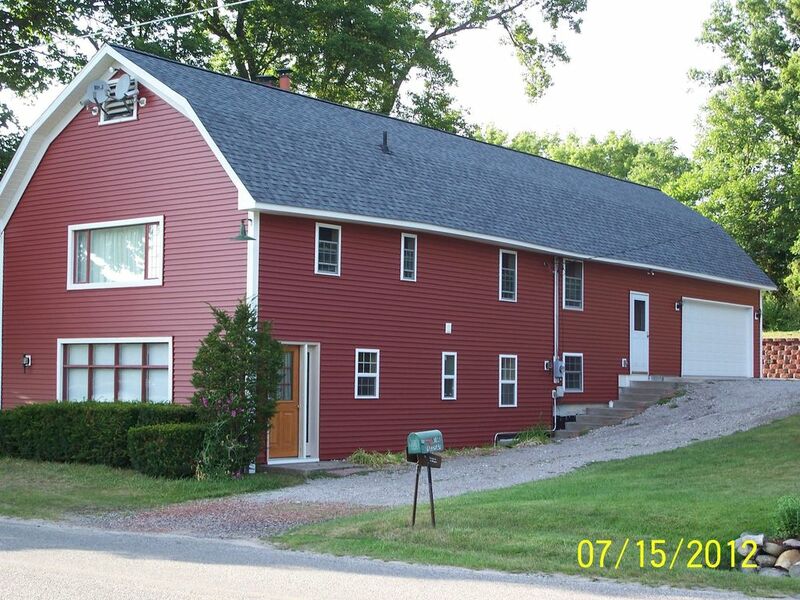 The barn rental is neat, clean and well equipped for two to three people. We enjoyed our stay at Barb and Bruce’s. The property is neat, clean and well equipped. The highlight is their dock with a beautiful view of Indian river. Both Barb and Bruce are very friendly and accommodating. Great location and hosts. The rental was well maintained with lots of amenities. Rental was clean, well stocked, cute and full of character. Owners were very friendly but not intrusive. Located near the Greendocks (local swimming attraction on the river). Be aware the road is busy and you need to cross it to access the dock and river. We had use of our own driveway and was able to entertain visitors without interfering with the landlord. Used the washer and dryer on premise the last evening - which was awesome! Unlike a hotel saying "pet friendly" where you pay extra, our 2 small dogs seemed to be as welcome as we were.